The Shelby County Gun & Knife Show will be held at the Shelby County Fairgrounds on Apr 27th, 2019 in Sidney, OH. This gun show is promoted by River Valley Classic Gun Show. 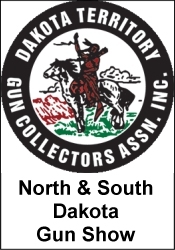 100 tables All federal, state and local firearm laws and ordinances must be followed. *** Please verify the show times and dates before attending the "Shelby County Gun & Knife Show", as they are subject to change.